It’s no secret that I love animals. No matter where I am I get excited when I see animals, not just ‘exotic’ ones, I am as happy to pat a friendly cat on the street as I am to feed a banana to an elephant. When I moved to London I got so excited about seeing foxes and squirrels (as I know other Australian travelers do) in the same way as tourists in Australia get very excited about kangaroos and koalas. Even though London is a bustling city there are still plenty of ways to get your wildlife fix, whether you’re travelling with children or are just a child-at-heart and obsessed with animals like I am; here are my top picks for where to go to find ALL the animals! While squirrels are barely even noticed by British locals, I have seen lots of people’s travel photos (including my own!) peppered by shots of people hand-feeding squirrels in London. While you’re likely to see them all over the place when you’re not even looking (I used to see them in my backyard sometimes) the best place to go looking for them in the middle of London is definitely St. James’s Park. 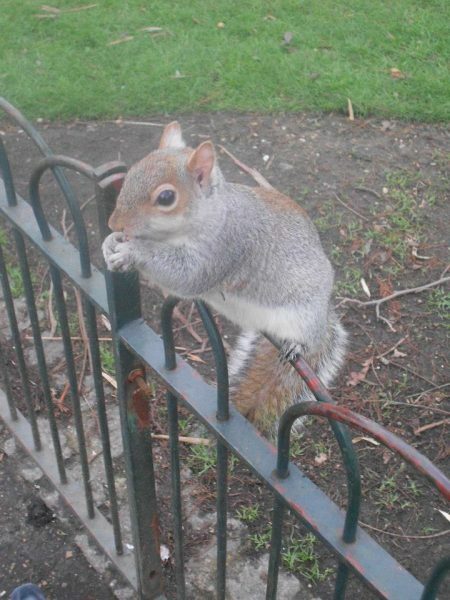 When I first moved to London I spent a week staying at a hostel in Piccadilly and I would buy a cheap packet of nuts from the supermarket and take it to St. James’s Park to feed the squirrels. They are very used to tourists doing this and will come right up to you, jump on the fence and eat out of your hand. I’ve even seen them run up people’s legs! St. James’s Park is a lovely spot for a stroll, walk through here to see the squirrels as well as a wide array of birds such as ducks, geese, swans, herons and some I don’t even know the name of. As you walk along you’ll soon come to Buckingham Palace as well. Similarly there are squirrels in Hyde Park, but I found that the ones in St. James’s Park were more numerous and less shy. These are the common grey squirrels though, the red squirrel is quite rare to see in the UK now, especially in built-up areas. Also, a British friend warned me to be careful that squirrels might have rabies, so exercise normal caution. They’re not likely to scratch or bite but just be careful I suppose. There is no specific place I would recommend for seeing foxes, just keep your eyes peeled and you will soon see them all over the place (maybe not in the middle of Westminster but who knows). 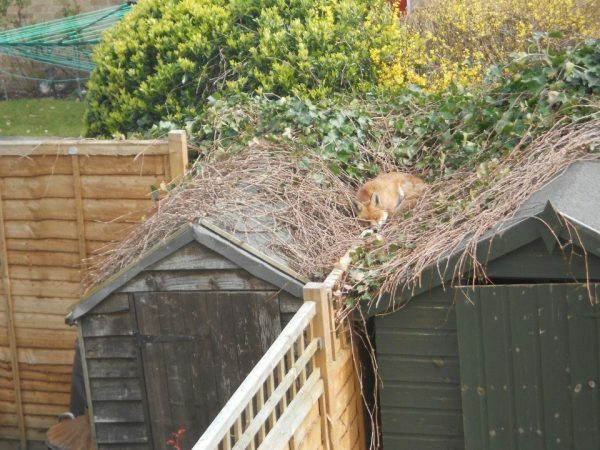 Where I was living in South Wimbledon I would quite often see foxes in the middle of the day climbing on the fence and sleeping on the roof of our backyard shed! Once I was walking home from work at about 5pm, broad daylight and a very young fox was sitting on the grass out the front of Burger King, about a metre away from a busy road. It was completely unconcerned. Taking this photo through my bedroom window is why it looks so fuzzy! You will often see them skulking around at night, and sometimes hear their awful screams as well! 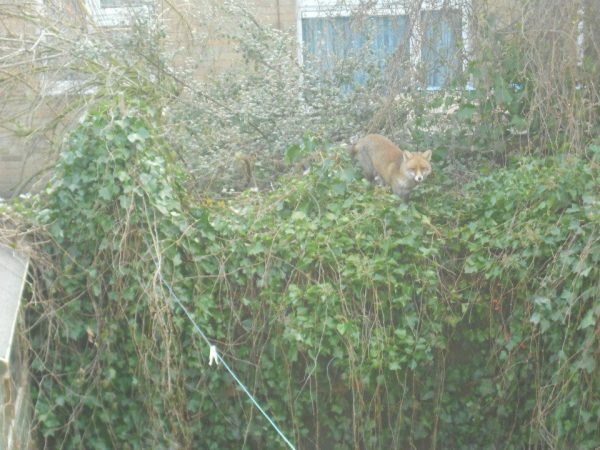 Londoners usually don’t like foxes at all, because the city-dwelling ones get into the rubbish and mess it around, and I’ve even heard of them being aggressive. I would not suggest you try to pat or feed a fox for this reason, and because they could also have rabies too. But enjoy seeing them. Even in a huge city like London, there are parks that are also huge, and filled with deer, you don’t need to go out into the country to get a glimpse of a stag. 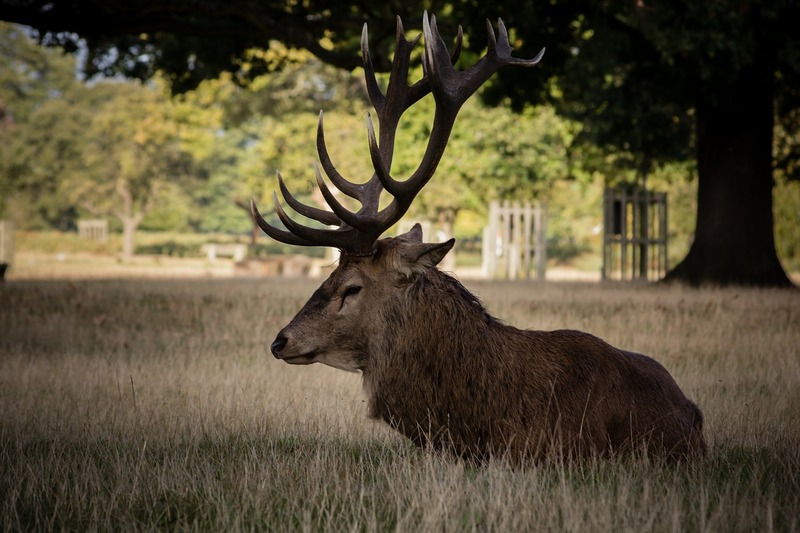 Richmond Park (which is right near Wimbledon Common) is the largest royal park in London (it’s three times the size of Central Park in New York) and home to herds of both red and fallow deer. Filled with walking tracks the park also has a cafe and Pembroke Lodge, one of the most popular wedding venues in the UK. British photographer Niall O’Laoire has captured some absolutely stunning images of deer in Richmond Park, have a look at them here on London Timeout. 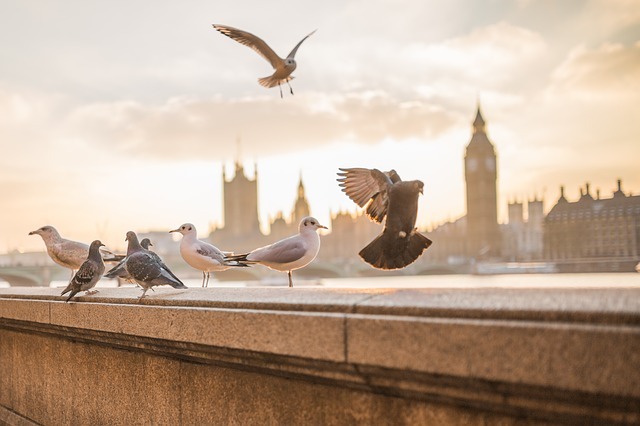 If you’re a bird-watching enthusiast or just like to feed the ducks, there’s plenty to please you in London. 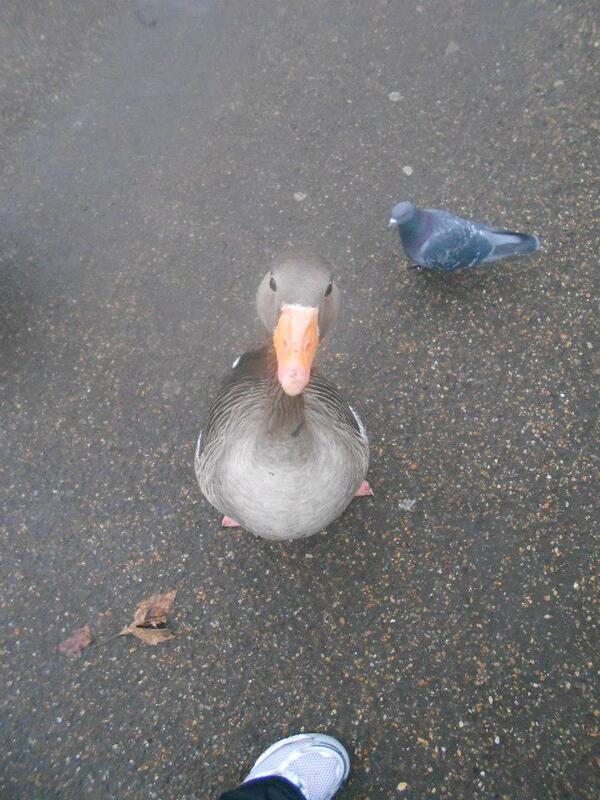 Again, Hyde Park and St. James’s Park are my favourite spots for seeing geese, waterfowl, swans and all sorts of other feathery friends. 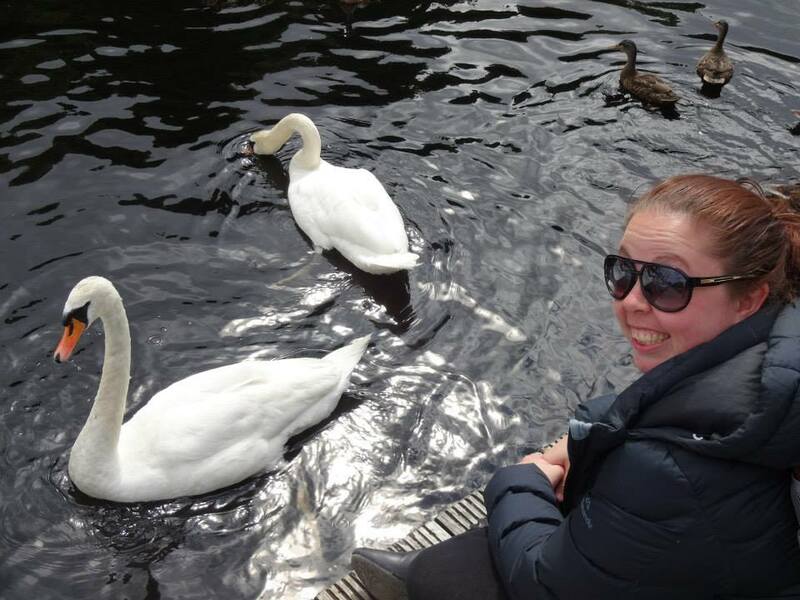 Some young cygnets (baby swans, although they were almost full grown and nearly completely changed from grey to white) bit my shoes at St. James’s Park once, so they’re not too shy! Especially in St. James’s Park all the birds are pretty pushy and will follow you around squawking or quacking if they think you have food! As you can see, they’re definitely not afraid of humans! 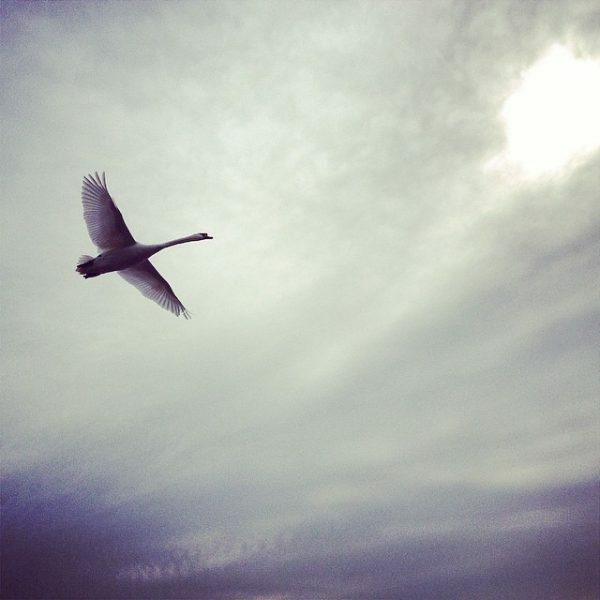 The below stunning shot of a flying swan I got in Kensington Gardens which adjoins Hyde Park. I have written more about visiting those gardens (and the Peter Pan statue) here. Moving away from native wildlife, I’m sure you’re thinking ‘cats? Who goes to London to see cats?’ Well bear with me, because I’m not just talking about any old cats on the street or backyard (although you see them too!) 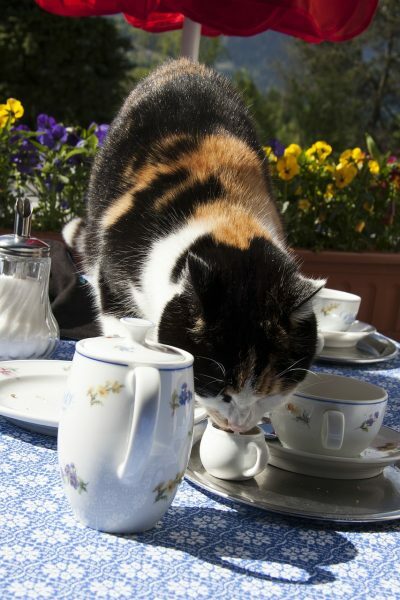 I’m talking about The Cat Cafe aka Lady Dinah’s Cat Emporium in Shoreditch, a cafe that is home to 12 cats that you can pat and play with while you sit and read, sip some tea and eat some cake. The cafe owner (an Aussie) crowdfunded the cafe and it opened with a two-month waiting list because it was so popular! It isn’t free however, and you will definitely need to book as far in advance as possible in order to get in to see the cats. Entry times are staggered to avoid stressing the cats out, and no hot food is cooked on the premises due to health regulations. You can, however, enjoy a High Tea on weekends, and foods such as croissants, bagels, salads and platters at any time, along with tea and coffee. 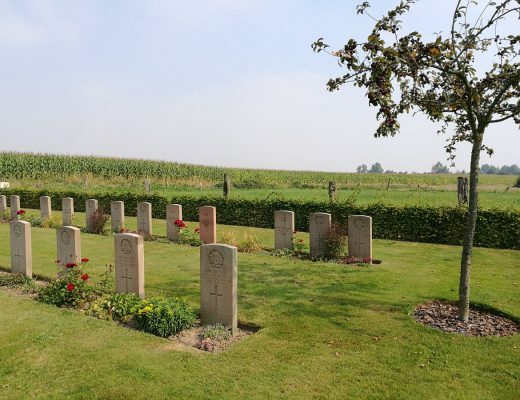 They also have gluten-free and vegetarian options, make sure you have a look at all the information on the website if you are planning on visiting. Unfortunately I didn’t manage to get to have a look at the cafe myself before I left London (it’s top of my to-do list next time I’m there!) but have a look at this article in the daily mail for lots of pictures of the inside of the cafe, and the kitties! 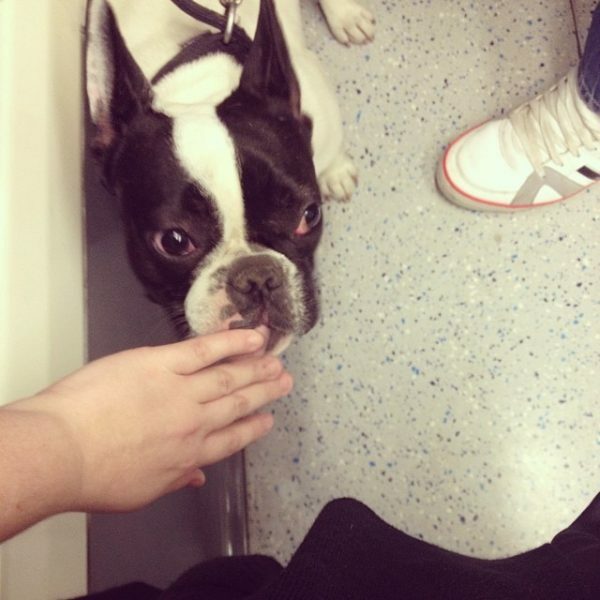 One thing I LOVE about London is how often you will meet cute pups on the tube (the London underground train system). 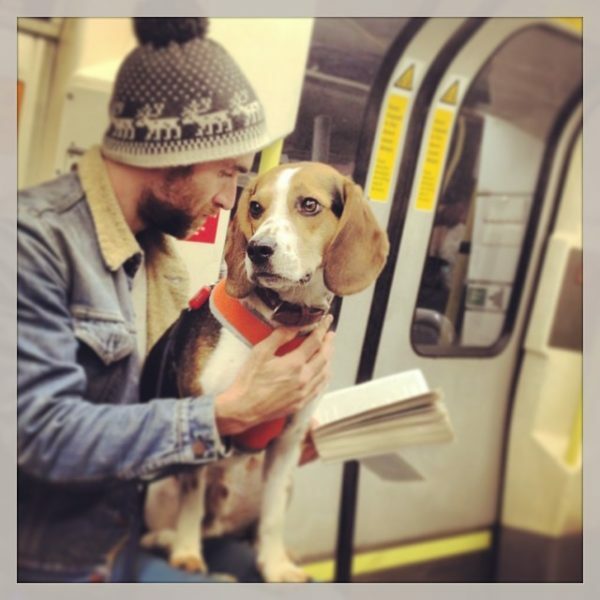 This is a novel experience for an Aussie, as you’re generally not allowed to have dogs on public transport unless it’s a service dog of some sort. In London, however, dogs are often riding the tube with their humans, I always got a little thrill from getting to pat a friendly pup while commuting somewhere. 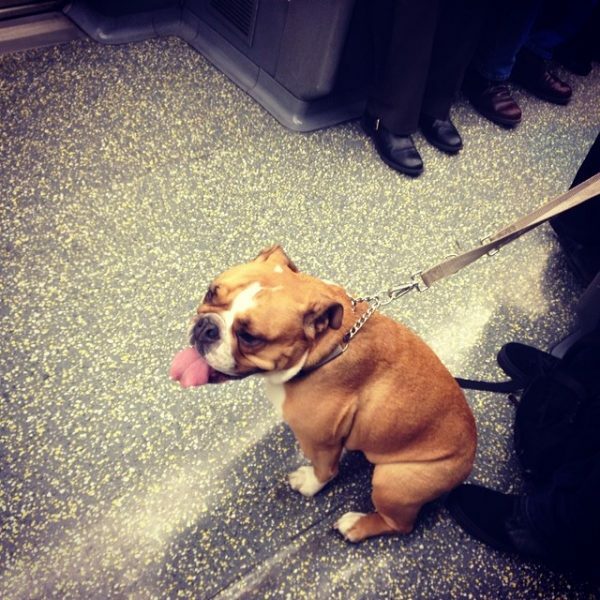 I can’t really suggest a certain line to travel if you’re looking for dogs on the tube, although generally the further out from the city centre the more likely it is, just remember to keep your eyes open and always ask the owner if it’s ok before you try to pat an unknown dog. If you’re looking to get up close to some pretty horses and go for a ride in London, the best place is definitely Wimbledon Common. 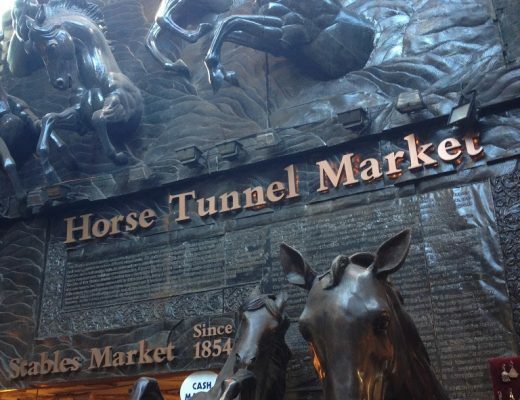 With over 16 miles of horse rides in the park (and even special horse lanes and horse traffic lights in adjoining Wimbledon Village) you can bring your own horse or book a ride (or lessons) through one of the local horse-riding stables. 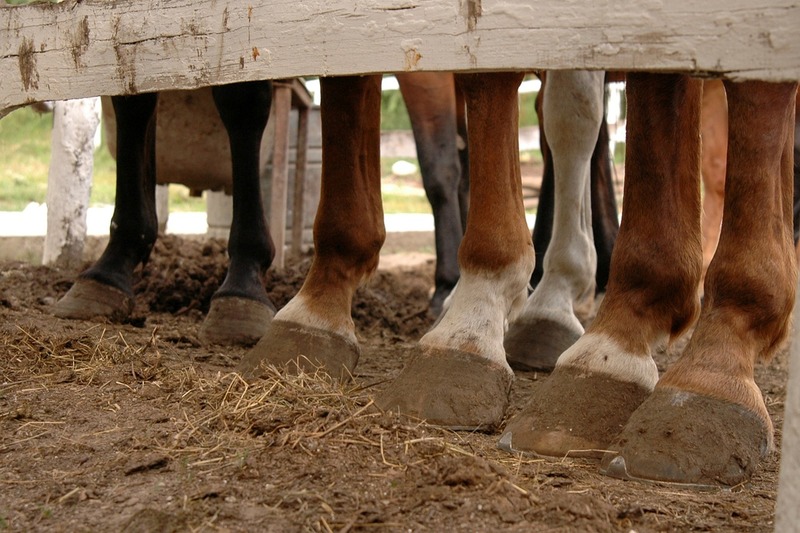 Ridgway Stables, for example, offer social rides as well as lessons for individuals and groups for adults or children. They even host Pony Riding Birthday parties! 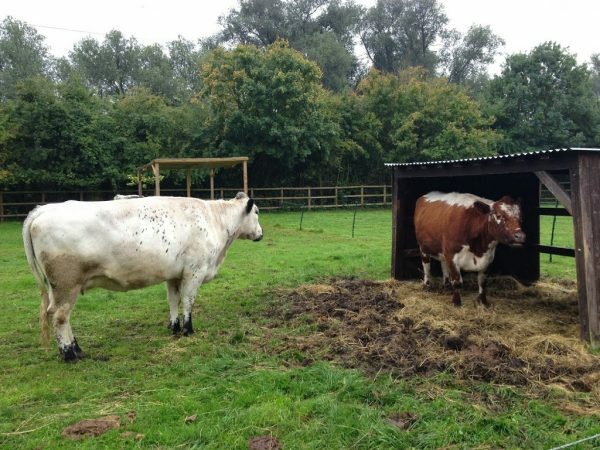 If you or your child(ren) want to see some cows and goats or feed some geese or chickens, you can even do this in London as well! 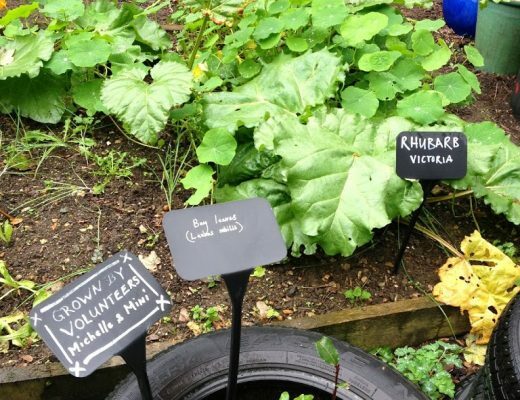 There are a number of ‘city farms’ around London, often comprising a village garden and farm animals as well as sometimes offering horse-riding lessons for children and fresh, local produce for sale. 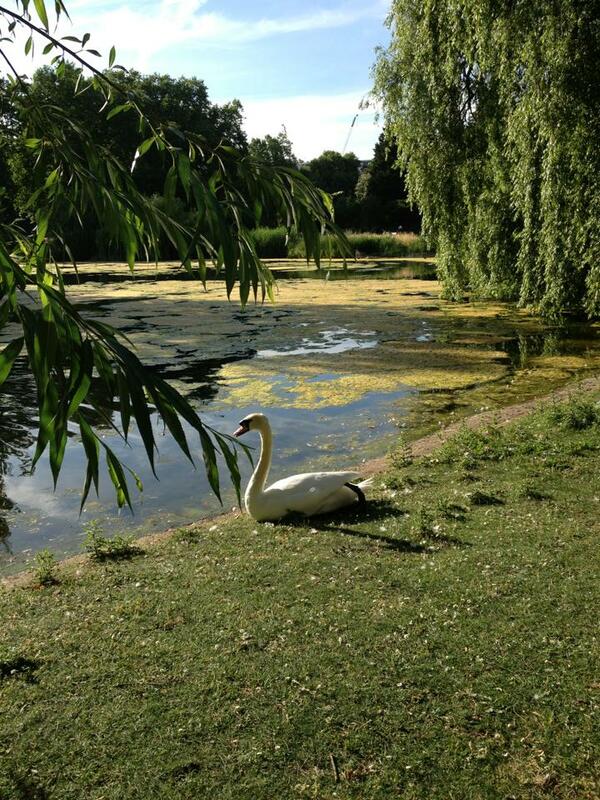 When I lived in London I liked to walk about ten minutes from my house to the Deen City Farm in Merton Abbey. They have ponies, cows, goats, chickens and other fowl, including a barn owl called Edna; as well as an alpaca called Kimby and rabbits, ferrets and guinea pigs. They offer riding lessons, vegetable gardens, a cafe, a shop, birthday parties and even animal boarding for small animals while you are on holiday! I wrote about my strange experience with a goat at the Deen City farm here, if you’re interested. Of course, if you want to see lions and tigers and bears (oh my!) 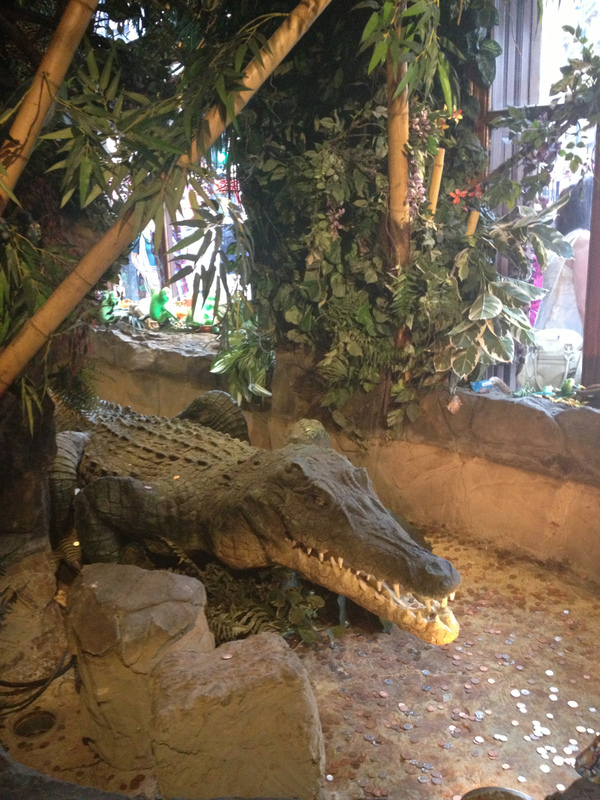 then you need to visit the London Zoo. But instead of just visiting it during the day, why not take part in one of the Sunset Safaris that have started just this year! Running every Friday during Summer, you can visit the zoo from 6pm til 10pm and see the animals at dusk when a lot of them are much more likely to be active. Who hasn’t been all excited to see the big cats at the zoo only to find them sleeping the whole time? The Sunset Safaris will also feature theatre performances, music and food, to entertain you during your zoo visit with a difference. 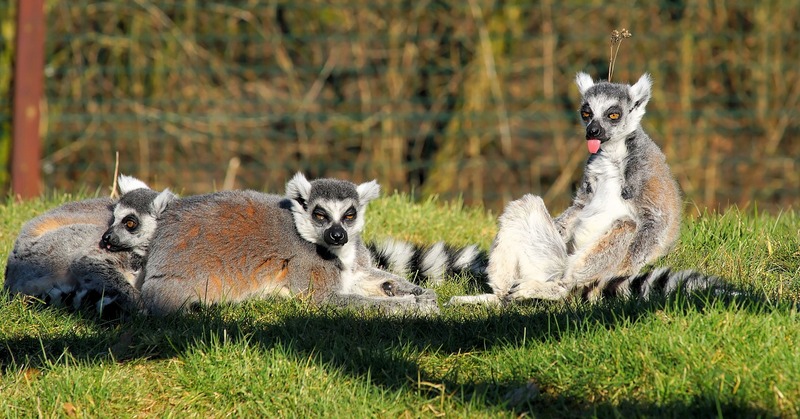 Have a look at the London Zoo website here to plan your visit, you can even arrive by waterbus! 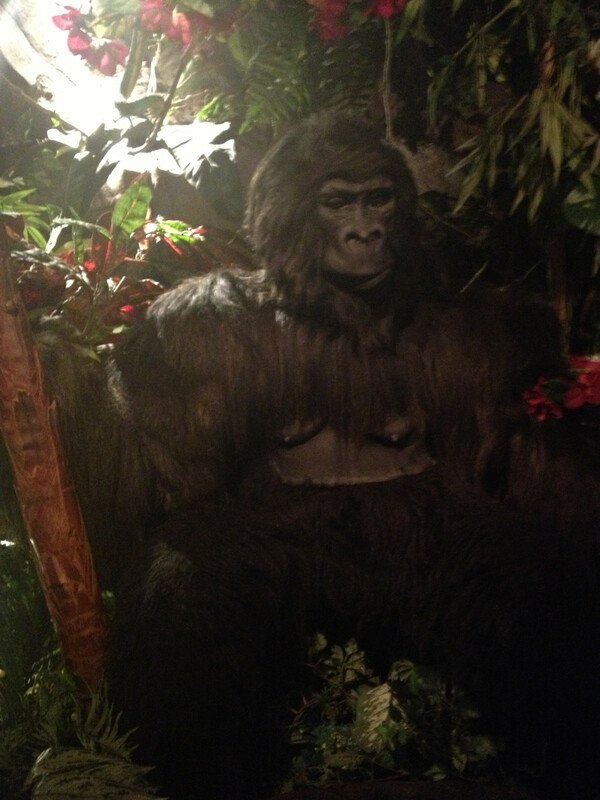 If you’re tired and hungry after all your awesome animal experiences, then the Rainforest Cafe is the best place to go to combine sustenance with even more animals; okay they’re fake, but still really cool! 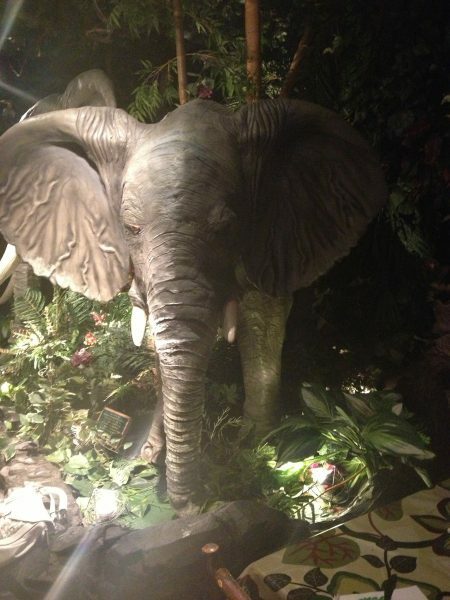 Just off Piccadilly, you walk into a cool rain forest-themed toy shop then head downstairs to be greeted by an artificial rain forest, complete with moving elephants and gorillas, atmospheric sound effects, tropical fish-tanks and some pretty delicious food and drink! I loved this place so much I went twice by myself and once with one of my friends from back home. It’s hard to get decent photos because of the dim lighting, but the models of gorillas, elephants, orangutans, a jaguar and a crocodile all move and make noise when you get close. There are stars on the ceiling and the whole time you are there you can hear insects and birds chirping as well as the occasional thunder rumble (you can hear it on the website too). 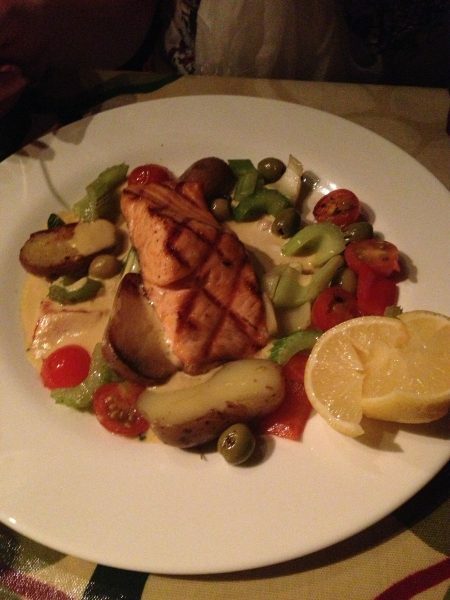 The food is sooo good! They do awesome smoothies and juices, yummy meals and delicious desserts. 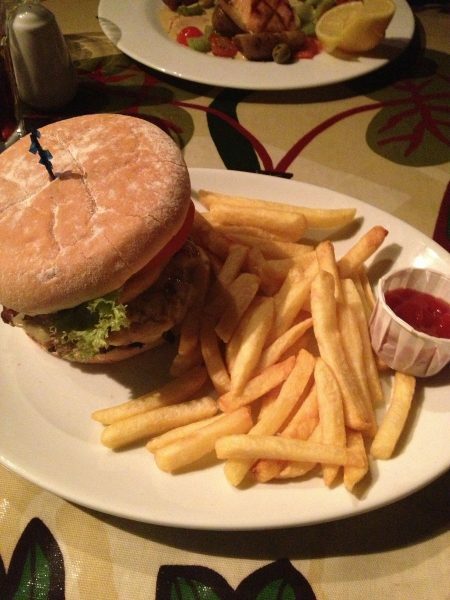 They have extensive dietary requirement options, cocktails and of course, birthday parties. I definitely recommend this as a quirky, yummy and fun place to eat in London! 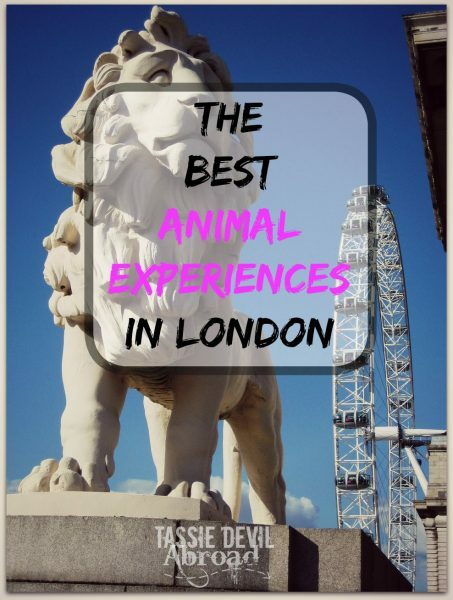 I hope you’ve enjoyed reading this and maybe gained some ideas about where to see cool animals in London. If you’ve been, do you think I have missed anything important off this list? And has anyone seen a fox in the middle of Westminster?